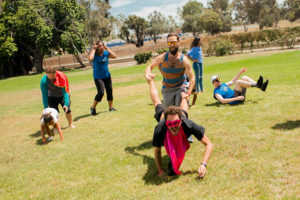 On Saturday, July 21, the team here at Precision Property Measurements took to Whaley Park in our hometown of Long Beach, CA to have our fourth annual memorable, team-building company picnic experience. We were lucky enough to get a beautiful Southern California day and our employees, along with their families, were ready to have an afternoon full of teamwork-inspired activities and delicious eats. At four years strong, our company picnic is one of the highlights of our year and planning it is no small feat. We start months in advance, taking volunteers from the staff, who are given various duties, and we have meetings throughout the spring and summer to see how the event is progressing. The picnic always takes place on the day after our quarterly company staff meeting in July, which is a nice way to celebrate all of the success we’ve had over the year so far, and also makes it easier to invite the staff from PPM’s Bay Area and Salt Lake City offices to come down and attend both events. Why do we work so hard for a single day? The answer is simple. Though our company picnics are a blast, they’re so much more than just an excuse to get out of the office. This is a time for our employees and management to get to know each other outside of the workplace and come together as a team in an enjoyable and low-stakes environment. (See our Core Values page for more.) For us, events like this are so important to creating the kind of engaged, professional and fun atmosphere we want at PPM. 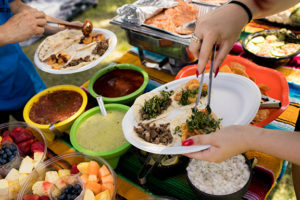 So, with almost half a decade of company picnic experience under our belts, we thought we’d share our most successful tips for planning your own company picnic. Alyson squares up a kick for the Scanvengers at PPM’s kickball game at Whaley Park, Long Beach. Our picnic was superhero themed this year, which we think is a great way to make things more fun for everyone. This meant that some of the employees’ children dressed up as their favorite superheroes, and our kickball teams were named the Bustas League and the Scanvengers – PPM’s twists on the Justice League and the Avengers. We tried to make the teams as evenly matched as possible based on our employees’ athletic abilities. It seemed like we did a good job because the game was pretty tight until the bottom of the fourth and the final inning when the Scanvengers came from behind with three clutch runs, clinching the title (and the championship medals!) until next year. 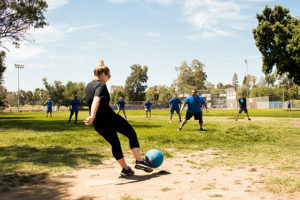 If you’re not a kickball fan, try capture the flag, tug of war, whiffle ball, badminton, or whatever you think will help encourage teamwork and a competitive spirit. Delicious tacos with all the fixin’s from Borracho’s Tacos. Yum! At PPM we love to eat, and yes, it is amazing that we’re able to keep our stunning physiques with such insatiable appetites. Our advice is to find a local restaurant or food truck that people in your office love and get them to cater your event. We chose Borracho’s Tacos, a taco truck in the area that pretty much everyone in the office knows and craves on a weekly basis. The biggest tip we can give you for planning the food is to make sure you find out your guest’s allergies and other food restrictions ahead of time and have a variety of options available. For instance, we had delicious steak and shrimp tacos, but also vegetarian and gluten-free options for members of our team who had dietary restrictions. Remember, this day is all about teamwork, so you want everyone to feel welcome at your company picnic. Catering to your employees’ gustatory needs is an important part of making everyone feel like they belong. Taylor (in costume) and Colin surge ahead during the wheelbarrow portion of the relay race. Kickball wasn’t the end to our fun and games at Whaley Park. After more than a few tacos and refreshments, we organized a relay obstacle course and a trivia game. One interesting idea we had this time around was to make the trivia game centered around the company’s history and office anecdotes. This not only reminds employees about the company’s progress over the years but also lets them know that they’re a part of a culture that has its own particular stories and characters. The relay obstacle course was maybe the highlight of the whole day and this was because we planned a number of activities that were fun but would also test our employees’ teamwork abilities. They faced a gauntlet of obstacles, including a potato sack, three-legged, and wheelbarrow race, along with a watermelon eating contest for the final station. Whoever was brave enough to take on the watermelon portion of the relay had to eat a whole one-quarter of a watermelon with no hands. A bit of a scandal broke out this year when the “winning” team was caught using their hands to finish off their hunk of melon, but it was all in good fun and actually brought even more excitement to an already electrifying event. The Super Hero kids had a great time with the water balloons. Probably the most gratifying aspect of our company picnic is meeting our employees’ families in a relaxed and non-businesslike atmosphere. For our newer employees, we finally get to meet the son or daughter they’ve been talking about all year, and for our long-time personnel, we have the pleasure of seeing how fast their kids have grown since the last time we saw them. 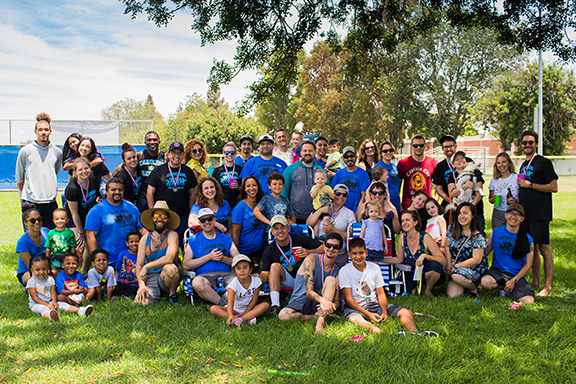 We care so much about making our company picnic a family affair that, this year, we got a piñata, ball pit, and organized a bunch of kids’ games to keep the little ones engaged. 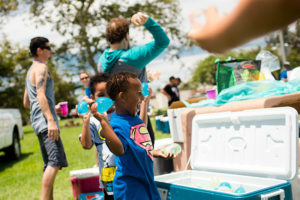 We even encouraged a big water balloon fight, which ended, of course, with the parents joining forces against the kids. In case you were wondering, the parents were sorely beaten. So those are our 4 tips for organizing your company picnic. Remember, this event is one of the best places for you to get to know your employees, and remind them how much their hard work means to you. Believe us, everyone will return to the office on Monday with a new-found sense of teamwork and appreciation for their colleagues. Here at Precision Property Measurements, most of our clients are architects, designers and facility managers that are in charge of planning and executing building remodel projects. For every new project, whether it is for one building or hundreds of locations, one of the first decisions they need to make is what to do about As-Built drawings. Accurate As-Built Plans are essential for any renovation project. Often there are no existing plans to start with, and so it is an easy decision to create new accurate As-Built drawings either by measuring the building themselves, or by hiring a professional As-Built surveying company like PPM. Other times, our clients are able to find some existing plans – typically either the original design drawings from the architect, or a more recent set created by a contractor or other consultant who did some work on the building at some point. When this situation occurs, a choice needs to be made: Take a chance on using the existing drawings? Or re-survey and make sure the As-Builts are 100% accurate? When a new client contacts PPM for an As-Built survey, we often get asked if we can use all or a portion of the existing drawings that they have to start with. Naturally, the assumption is that these existing drawings will save us time, and therefore save the client money. Unfortunately, the reality is that more often than not, existing As-Built drawings will cause more problems than they solve. In the last 16 years, we have field-checked hundreds of existing As-Built plans to verify accuracy, with a wide variety of results. Sometimes, the plans are structurally sound, with only minor dimensional errors to adjust and missing elements to add. More commonly, the existing drawings are so problematic that they are worthless as the basis for quality As-Built surveys, and so we need to scrap them and start from scratch. The challenge is that even significant errors of several inches usually can’t be identified until you actually take the measurement in the field. 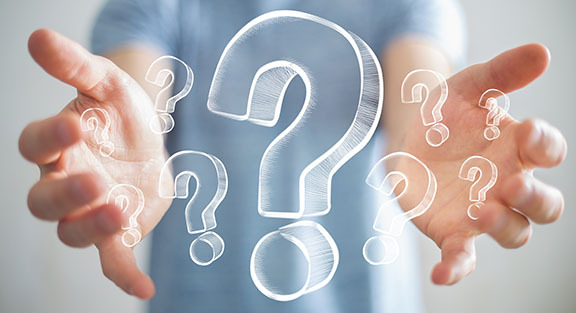 One error leads to another, the mistakes on the existing plan start to snowball, and before you know it you’re doing just as much work as you would have done if you had just started from scratch – only with significantly more of a hassle. Whenever we run across one of these, I can only wonder how often existing plans are assumed to be “good enough” and used without being verified, and what kind of problems this creates. All of this just to save on As-Builts that are usually less than 2% of the cost of the project. I have rarely seen this gamble pay off. Do it right the first time with a fresh, accurate As-Built survey.